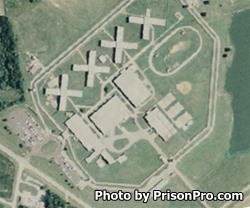 Shawnee Correctional Center is located in Vienna Illinois. It is a medium security institution that can house 2,155 adult males. Shawnee Correctional Center also oversees Hardin County Work Camp. Inmates are housed in four units. An intake and orientation unit is responsible for all new inmates, and two segregation units detain any inmate that has safety/security concerns or becomes difficult to manage. Shawnee Correctional Center participates in correctional industries which allow the inmates to work in metal fabrication/welding, recycling, and in creating outdoor recreational furniture. Inmates can also take a variety of vocational courses like auto repair, and commercial custodial maintenance. Adult basic education and GED courses are available for all inmates. General population inmates have visitation everyday from 8:30am-5:30pm. You must arrive and be processed by 4:30pm or you will not be allowed to visit. Inmates are allowed six visits per month, but only two of the visits can be on weekends and holidays. Offenders can have up to three visitors at a time. Visits can last up to four hours as long as space permits. Segregation inmates have visitation everyday from 9am-2pm. You must arrive prior to 1pm to be admitted to visitation. Inmates in segregation are allowed two visits a month, the visits are only one hour in duration, and the inmate can have two visitors at a time.